On showcase is a water cooled GTX 1080! At Computex 2016, Corsair showcased its upcoming products that included the new Corsair Vengeance LED and the high-performance DDR4 Corsair Dominator Platinum Special Edition memory sticks. 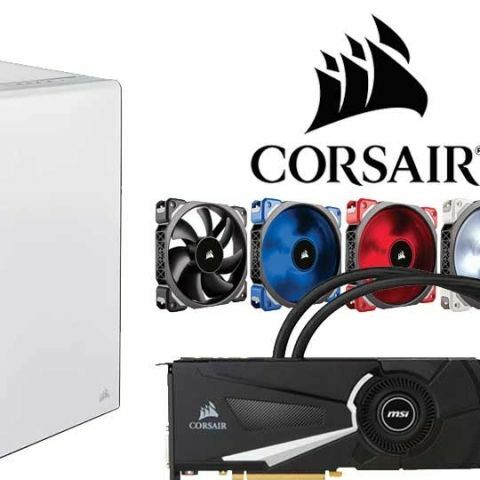 It also introduced the new cooling fans that run on Corsair's patented magnetic levitation technology along with an updated Carbide 400C cabinet and more. In the DRAM segment, the new Corsair Vengeance LED XMP 2.0-certified DDR4 memory comes with an option of either red or white lighting integrated along with the “aggressively styled” heat-spreader design. The memory sticks are the company’s fastest till now and make use of Samsung's memory integrated circuits that have the capability to push memory speeds to 4333MHz. The memory sticks will be available from Q3 2016. Alongside, Corsair has also added the Dominator Platinum Special Edition DDR4 memory sticks on the display. The Dominator Platinum series come with signature brushed aluminium or with a chrome finish and also uses Samsung's memory integrated circuits and will be available alongside the Vengeance ones. In the cooling segment, Corsair introduced the ML Pro and ML Pro LED high-performance cooling fans that come with Corsair's patented magnetic levitation technology. Both the fans utilise an ultra-low friction magnetic bearing that provides high airflow and high static pressure along with keeping a check on the fan noise. Available in 120mm and 140mm sizes, the fans boast an exceptionally wide RPM range starting from 400 RPM and can go up to 2400 RPM, operating with minimal noise, claims Corsair. The SP120's LEDs illuminate the fan's hub providing a radial-gradient-like appearance and come with translucent blades that offer blue, red, and white LED colours for illumination, adding coolness to your rig. You will also eventually be able to integrate these RGB LED spinners with its Corsair Link system, says Corsair. Unfortunately, there was no word on the pricing of these but Corsair did mention that they will be made available in Q3 2016. 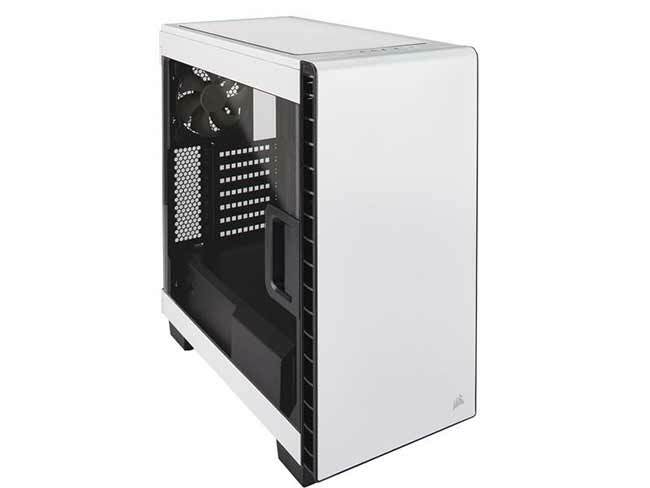 Launched back in January, Corsair's Carbide 400C desktop chassis is now available in white along with the current black version. This cabinet remains unchanged overall except for the new white finish on the outside and will be available from this month with a similar price tag. Previewing the next version of its Hydro GFX graphics card, on display was MSI’s Hydro GFX GeForce GTX 1080 card will be available with Corsair’s closed-loop cooling system in Q3 2016. Along with all of these, Corsair also showcased the Bulldog that comes with support for VR gaming and the Lapdog that allows you to comfortably use your mouse and keyboard from a distance. The Bulldog DIY kit is available now whereas the complete system will be available from Q3. which is the best LED TV around 40K and 50K in India for June,2016? Buying Guide for cabinet case and Graphic Card?? Please help! !